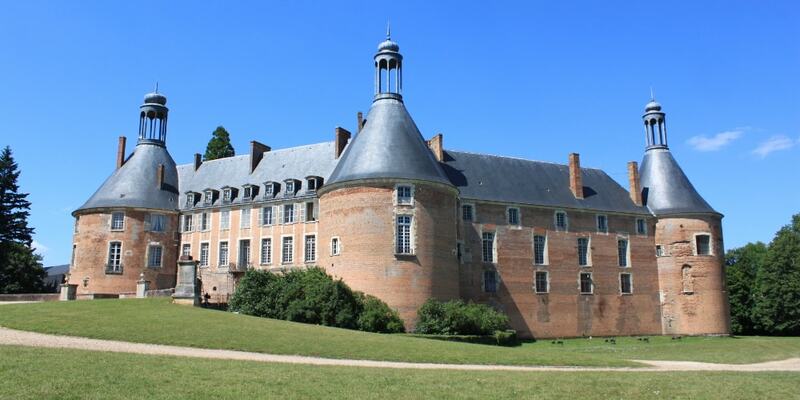 The chateau was originally a hunting residence in 10th century. This was destroyed in the 15th and a castle was built on its foundations. This castle was itself destroyed by fire and promptly rebuilt in the 17th century, with additions and major improvements made in the 19th and 20th centuries. The Chateau de Saint-Fargeau has a distinctive design. From above, the chateau's curtains and towers form an irregular pentagon, the corners of which are formed by six towers of pink brick. Five of the towers are topped with lanterns. The chateau was designated as a monument historique in 1945 and has been open to the public since.